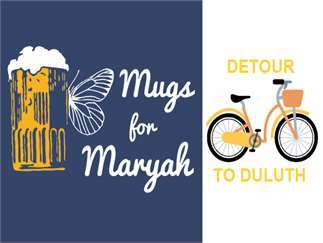 Mugs for Maryah is taking a detour this year… all the way to Duluth and back! We'll be biking from Crescent Cove to Duluth, gathering donations for every mile peddled. Join us for a "send-off" at BlackStack Brewing in St. Paul on Wednesday, June 5, 5-9 p.m. BlackStack will be donating $1 for every beer purchased during the event, plus we'll be raffling off a brand-new bike from OneTen Cycles. Join us to support Crescent Cove, the first and only residential children's hospice home in the Midwest. To date, we've raised more than $30,000 in support of Crescent Cove and in honor of Maryah Tift, an alum of IHM-St. Luke's (St. Thomas More) and Cretin-Derham Hall. It was her dream to build a special place for kids like her facing life-threatening illnesses.